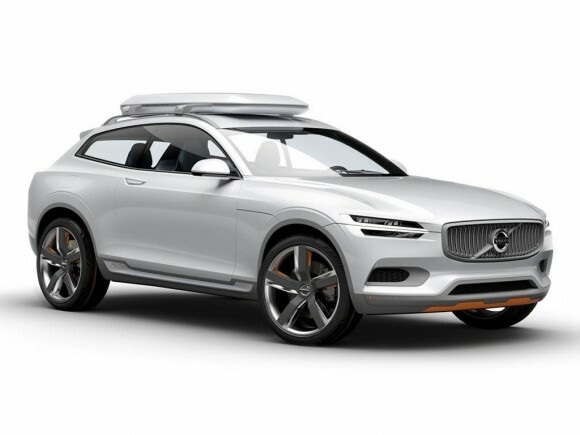 The second of Volvo’s three concept cars is the new Volvo Concept XC Coupé. Inspired by the design of modern sports equipment and demonstrating the safety capabilities of Volvo’s new Scalable Product Architecture, it is a sophisticated and capable car for people with an active lifestyle. The XC Coupe Concept is expected to be a preview of the next generation 2015 XC90 crossover. The XC Coupe will make its debut at the 2014 Detroit Auto Show. The three concept cars are designed to demonstrate vital elements of the company’s new Scalable Product Architecture (SPA): the confident stance, the proportions and the most prominent design signatures. The connection with modern, high-tech sports gear is highly present in the concept car. Among the sources of inspiration for the design team is the Swedish company POC, which develops high-tech protective gear for extreme sports athletes. To strike the right balance between aesthetics and functionality, the design team has also given traditional SUV elements, such as side mouldings and skid plates, a modern interpretation. They are more integrated into the sleek design, flush with the surrounding body areas. Just like the Volvo Concept Coupé, the face of the Volvo Concept XC Coupé is characterised by a new topography on the bonnet and the ‘floating’ grille, flanked by headlights featuring new T-shaped DRL light guides. The rear light signature is also a distinctive element in the new design direction of Volvo Cars.